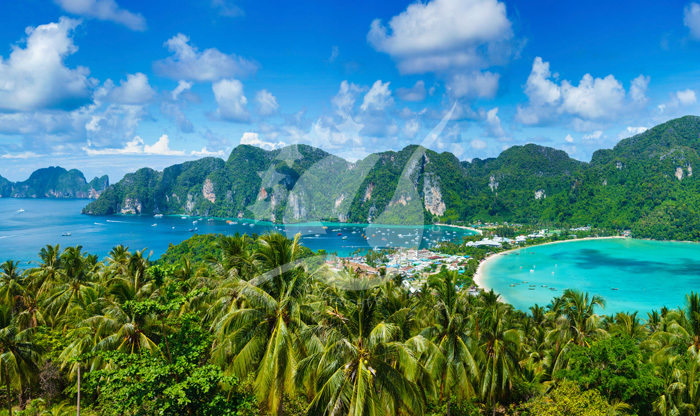 Phi Phi is an island group in Thailand. 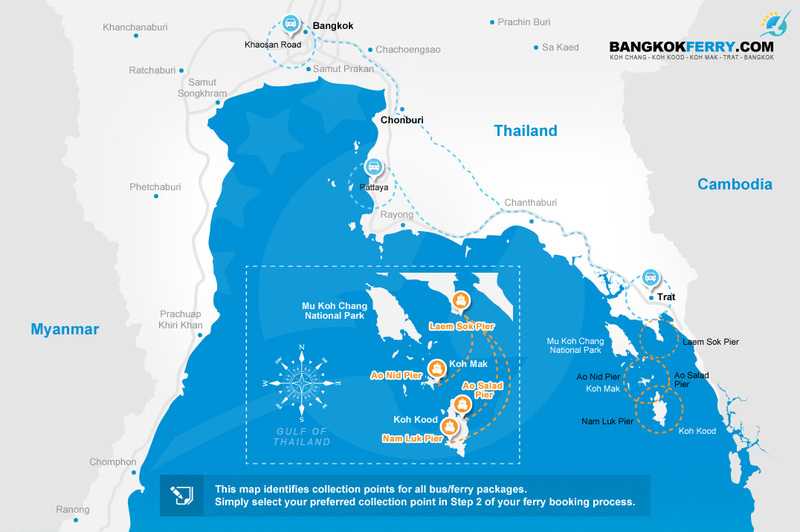 Located between Phuket the largest island and Malacca Coast. 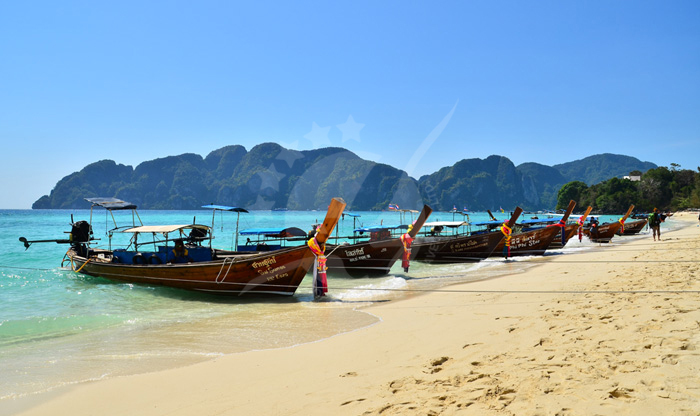 The islands belong to Krabi Province, the most populated and the largest island of the 6 islands is Koh Phi Phi Don, it is where you’ll find the islands main pier “Tonsai Pier” in Tonsai Bay. 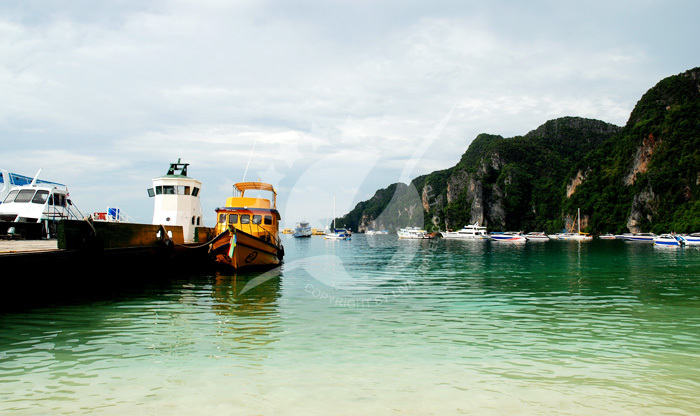 The island has beautiful beaches with clear water that attracts thousands of visitors. 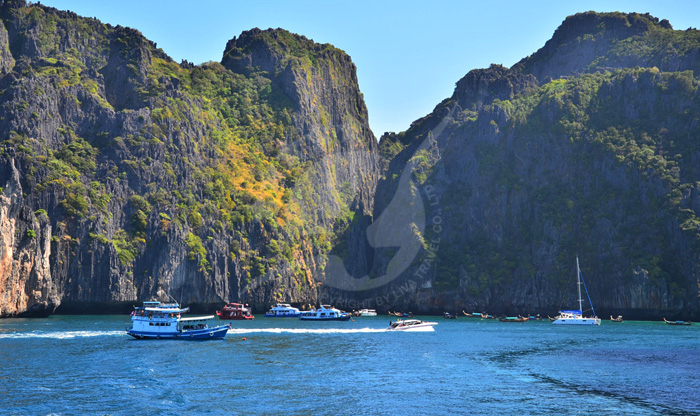 Diving is one of the main activities on the islands. 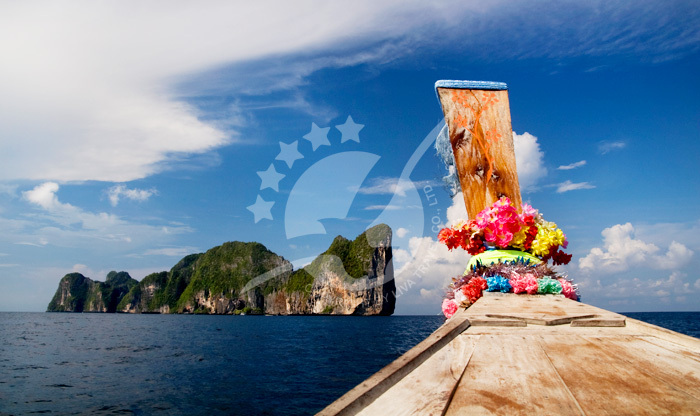 Phi Phi islands are considered to be one of the best diving destinations in southern Thailand. 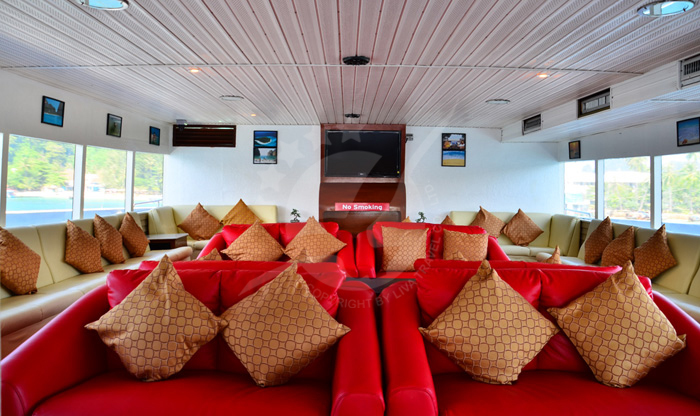 The underwater life is filled with soft corals, black corals, large orange fans, not to mention the beauty of the colorful reefs, fish, the leopard sharks, caves, and the dramatic landscape underwater. 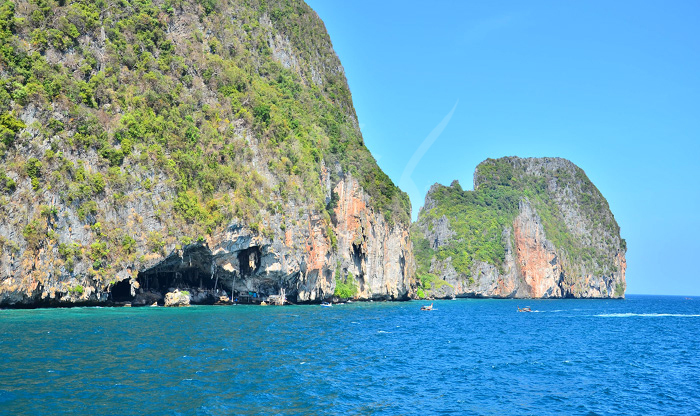 There are plenty of diving shops available around Phi Phi Don. 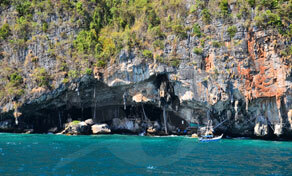 The cave is located on the northeastern side of Koh Phi Phi Leh at the bottom of a limestone hill. 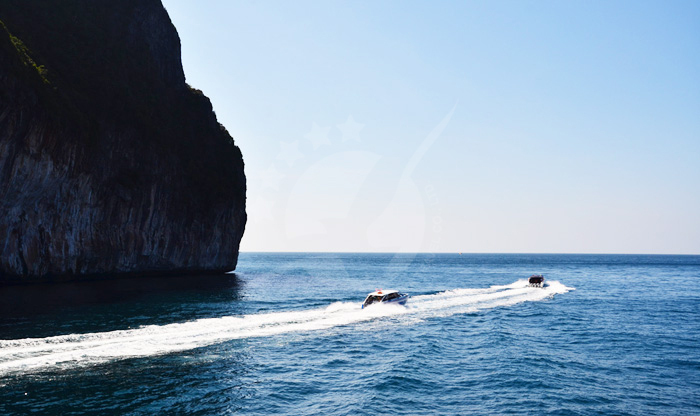 The cave has wall paintings of different boats, some say they were painted by the sailors who used to take shelter inside the cave during storms. 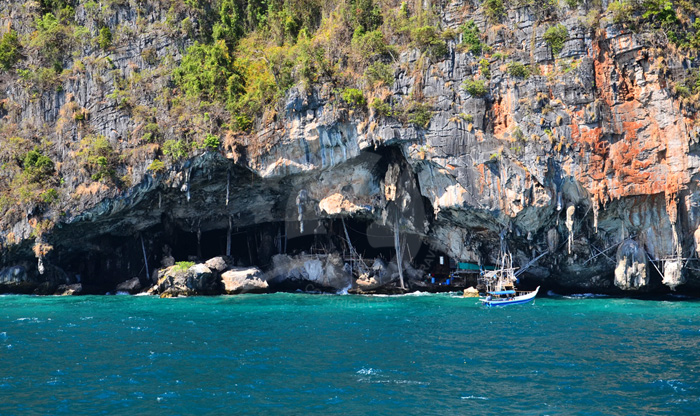 This cave has an industrial use, the locals use it for harvesting edible birds’ nests which are good for the skin and are used in making a traditional Chinese soup. 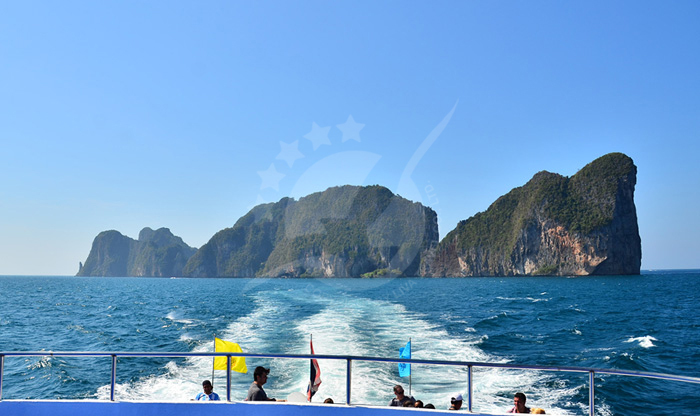 As you now know Phi Phi islands are a group of six islands, Phi Phi Leh is the second largest after Phi Phi Don. 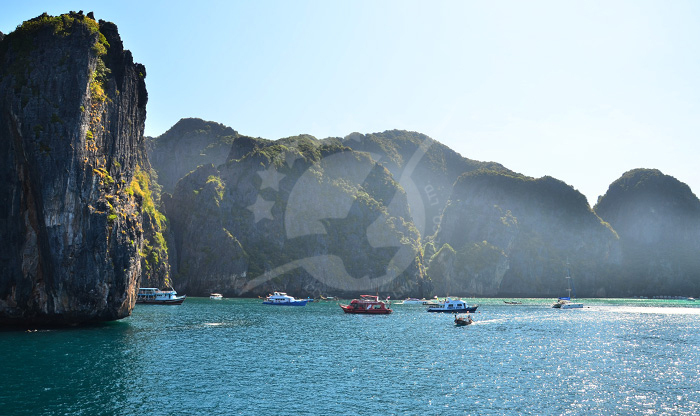 Koh Phi Phi Leh has one of the most popular bays “Maya Bay”. 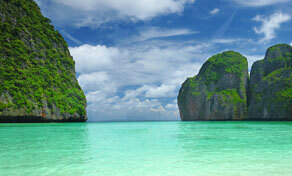 Its fame goes to Leonardo Di Caprio’s movie “ The Beach” that was filmed on it. 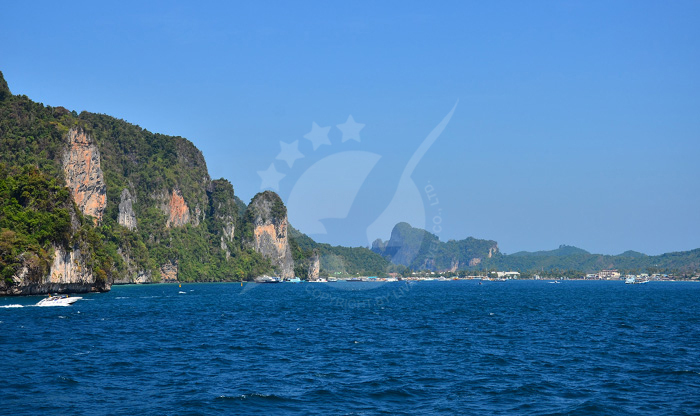 The bay has amazingly clear water, white sandy beach, with a beautiful view of the limestone hills rising above the water. 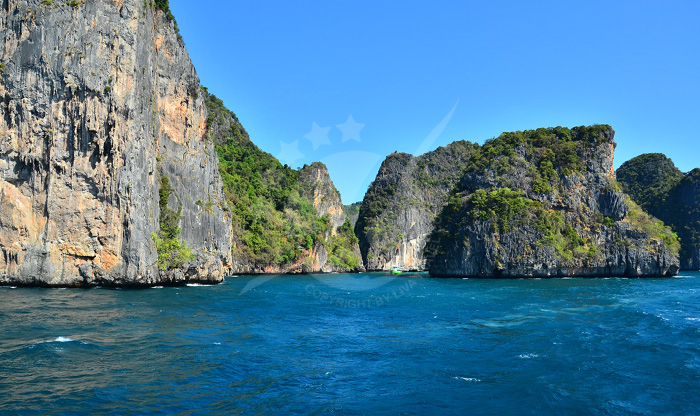 This viewpoint is located in Phi Phi Don and if you went towards Loh Dalum Bay, you’ll find signs of the viewpoint to follow. 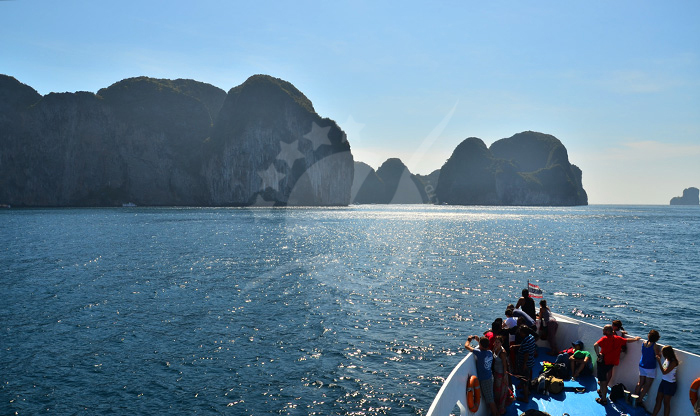 It will take 20 to 30 minutes to reach the top and once you reach it you’ll find snacks, ice creams, and cold drinks for sale. 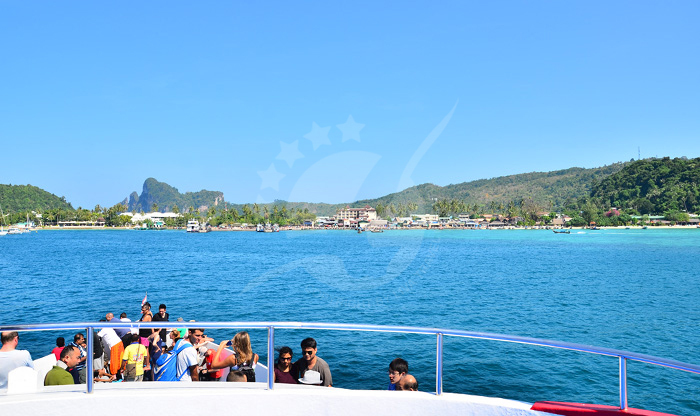 The view will take your breath away and leave you in awe! 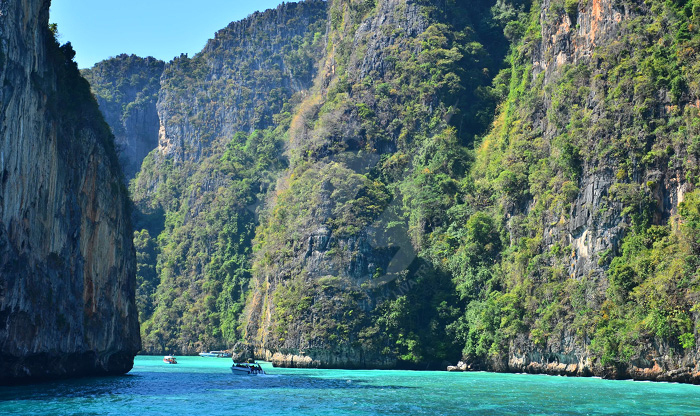 Especially if you went there to catch the sunset.